NORTHFIELD TWP, MI — Construction on the 8 Mile Road bridge over U.S. 23 will start next week. The Michigan Department of Transportation announced Thursday work starts Monday, May 2 to build a temporary bridge after crews demolished the half of the damaged bridge in March. The overpass should be complete by the July 4 holiday weekend. Utica-based Dan's Excavating is completed the project for about $400,000, said MDOT spokeswoman Kari Arend. During the construction, a shoulder of northbound U.S. 23 will close and MDOT will institute lane closures at non-peak travel times such as overnight and weekends. On March 10, a semi-truck hauling an over-sized load stuck the bridge and significantly damaged the beams. Northbound U.S. 23 was closed for about 24 hours until demolition crews could tear it down. MDOT is seeking reimbursement from the trucking company to pay for the repairs. The bridge, which scored a 32 out of 100 on sufficiency, was already on a list of MDOT construction projects for 2016-2017. In 2017, MDOT will start another road and bridge project in 2017 that includes a new 8 Mile Road bridge just north of the existing one and upgrades to the interchange. After it is complete, crews will remove the existing bridge. SAN ANTONIO, Texas — Trucking bankruptcies in the United States nearly doubled in the first quarter, but the loss was not big enough to put a dent in excess truck capacity, trucking analyst Donald Broughton told members of the Transportation Intermediaries Association Saturday. The number of carriers that declared bankruptcy rose from 85 in the first quarter of 2015 to 160 in the last quarter, said Broughton, senior research analyst and managing director at Avondale Partners. Those bankruptcies pulled about 3,500 tractor-trailers off U.S. highways. That is a small loss compared with the number of carriers and tractor-trailers sidelined during the recession, Broughton said at the 2016 TIA Capital Ideas Conference. “Last year was so benign that any increase looks bigger” proportionally than it is in actuality, Broughton said. In the first quarter of 2014, for instance, 390 carriers with 10,650 tractors shut down, according to Avondale Partners, and last quarter’s bankruptcies were well below that level. However, Broughton does expect bankruptcies to continue to climb through the rest of 2016. Broughton, who works with Cass Information Systems to produce the monthly Cass Truckload Linehaul Index, said truckload pricing dropped into negative territory in March, falling 0.6 percent, after rising 0.4 and 0.5 percent year-over-year in January and February. 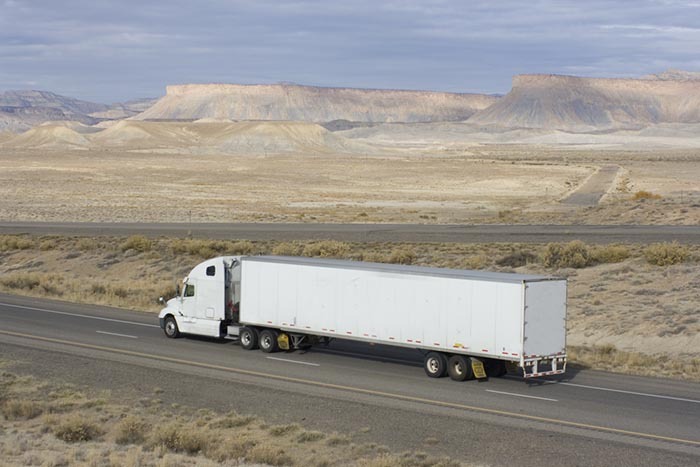 He believes many smaller trucking operations will wait until the last minute to purchase electronic logging devices, and that capacity will contract when the federal ELD mandate goes into effect in December 2017. “People who haven’t put them in yet will wait until they have to,” he said. However, Broughton believes the visibility into driver hours and truck locations gained through ELDs and onboard technology will benefit all parties by providing greater visibility as freight flows through supply chains and improving utilization of labor and equipment. CINCINNATI - Trio Trucking, an asset-based contract carrier based in Cincinnati, has been recognized as Walmart Transportation’s Diversity Carrier of the Year. The company founded and owned by Ross County native Carvel Simmons was chosen due to its dedication to customer service, effective communication and improved service. New Mexico State Police and Commercial Vehicle Enforcement Officers were dispatched to a rollover accident on US 54 at mile marker 73 involving a Commercial Motor Vehicle on Thursday, according to NM State Police Lieutenant Ty Hamilton. The investigation revealed an 18-wheeler traveling northbound registered to Manuel Huerta Trucking out of Nogales, AZ had gradually drifted off the road and struck a guardrail and then rolled over on its right side, according to Lt. Hamilton. The driver did not sustain any injuries, but Huerta was cited for careless driving. The load of squash the driver was hauling was donated to local shelters and the Alamogordo Zoo on behalf of the company. 54 Towing Company was dispatched to the scene to assist in hoisting the big rig back onto its feet. Before the hoist could commence, the debris of squash and remaining cargo had to be removed from the truck by Laz Luz Fire crew. Traffic was condensed to one-lane and vehicles traveling northbound were directed to the southbound lane. Harsharan Singh, a trucker based in Los Angeles, is originally from India. He’s among a growing number of immigrant truck drivers in the US. To see this shift up close, head 50 miles west of Los Angeles, just off Interstate 10, home to one of the busiest long-haul truck stops in the US. It’s where tired drivers often park their 18-wheelers for the night and eat, shower and relax before hitting the road again. It’s also where you’ll see just how multinational the trucking industry is now because of drivers like Harsharan Singh, originally from Punjab, India. “I got my license back in 2009, when I came from India. Now, a lot of people from Romania, Yugoslavia, China, Japanese, Russians are coming into this business,” says Singh, who hauls produce all across the Western US and Canada. “The trucking industry is searching for people,” says Justin Lowery, who studies the role of immigrants in US trucking at George Mason University in Fairfax, Virginia. Lowery says there is an “aging out” of truck drivers and recent immigrants, willing to work long hours, are filling some of the gap. Nearly 30 percent of foreign-born drivers are now from Asia, the Middle East, the former Soviet republics and Europe. Most of the rest are from Latin America, according to the Census Bureau’s 2012 American Community Survey. That survey also found that the proportion of immigrant drivers varies from state to state, with California at 46 percent, the highest concentration of foreign-born drivers, followed by New Jersey at 40 percent. “When I first got to this country, I never thought I would do this kind of a job. It was sort of a dream to do it,” says Ukraine-born Steven Abramovich over an outdoor meal of cold cuts, hard-boiled eggs and some wine with fellow Ukrainian and Russian drivers in a corner of a vast truck stop in Ontario, California. But despite the hardships, for many new immigrant drivers, they’ll take the trucking life — one route to the American dream. The Senate is preparing to quietly slip language into a transportation spending bill that would set longer work-weeks for truck drivers, safety advocates said on Wednesday. The provision – which was supposed to be a legislative fix to a technical error made in the fiscal 2016 omnibus – is meant to clarify language that suspends parts of the administration’s trucking hours of service rule until a study is completed. 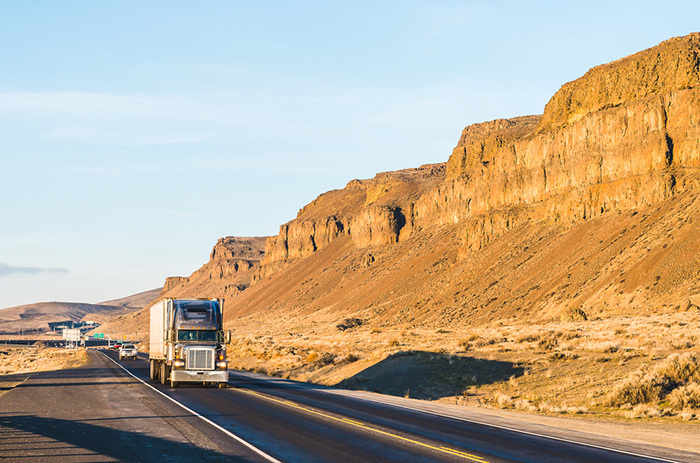 But safety advocates familiar with the situation maintain that the provision would go one step further by allowing truckers to spend 73 hours driving or on duty per week – a provision they say was heavily lobbied for by the trucking industry. The Senate Appropriations Committee won’t release the text of the Transportation, Housing and Urban Development (THUD) fiscal 2017 spending bill until the full panel markup on Thursday, though a subcommittee approved draft legislation on Tuesday. The spokeswoman said the new restriction would protect both the driving public and the truck drivers behind the wheel, pointing out that safety advocates claim some truck drivers can work up to 82 hours per week. The 73-hour cap would ensure that doesn't happen. She also emphasized that the bill does not make any changes to the 11-hour daily driving limit, the 14-hour daily on-duty limit, the 10-hour daily off-duty requirement or the 30-minute rest break requirement. Still, advocacy groups are urging lawmakers to drop the proposed cap from the measure. The issue stems all the way back to 2013, when the Federal Motor Carrier Safety Administration enacted a new rule to modify the 34-hour “restart” period, which is an amount of off-duty time that drivers can take in order to reset their driving limit after they reach the maximum 60 hours in seven days or 70 hours in eight days. The new regulation mandated that every restart period include two nights in that break, with no driving between 1 a.m. and 5 a.m, and said that truckers could only use one restart per week. The rule effectively limited truck drivers to 70 hours a week. Safety advocates have argued that it’s important because people get the most restorative sleep at night, but the trucking industry has said the rule puts more truckers on the road during morning rush hour, thus increasing the risk of accidents. Collins successfully added a provision to the fiscal 2015 spending bill that suspended the new restart rule until the Department of Transportation (DOT) completes a study on the topic. An additional provision was added one year later to the fiscal 2016 omnibus that said the rule couldn’t go into effect unless the DOT study proves that the regulation is beneficial to drivers’ health and safety. However, legislators left out key language to clarify what would happen if the agency doesn’t find that the rule improves health and safety. Experts and industry groups agree that as currently written, the agency would have to revert back to old rules that were in place over a decade ago, which is why lawmakers have been scrambling for a quick fix. But the issue could very well become a lightning rod in the debate over an otherwise non-controversial spending bill. WASHINGTON — The total value of cross-border freight carried on all transportation modes fell 2.0 percent from February 2015 to $84.0 billion in February 2016, according to the TransBorder Freight Data released today by the U.S. Department of Transportation’s Bureau of Transportation Statistics (BTS). However, two transportation modes — rail and truck — carried more U.S. freight by value with North American Free Trade Agreement (NAFTA) partners Canada and Mexico in February 2016 than in February 2015. The value of commodities moved on trucks increased by 4.7 percent from 2015 to 2016. The value of commodities moving by rail increased 6 percent, the largest increase from 2015 to 2016 of any mode. The 6 percent year-over-year growth in the value of rail freight is largely due to an increase in imports of vehicles and parts, the largest commodity carried by rail. The value of freight in other modes declined: air 1.7 percent; pipeline 35.6 percent; and vessel 41.0 percent. A drop in the price of crude oil in 2015-2016 played a key role in the large declines in the dollar value of goods shipped by vessel and pipeline. Crude comprises a large share of the commodities carried by these modes. Trucks carried 67.4 percent of U.S.-NAFTA freight and continued to be the most heavily utilized mode for moving goods to and from both NAFTA partners. Trucks accounted for $29.3 billion of the $45.0 billion of imports (65.1 percent) and $27.3 billion of the $39.0 billion of exports (70.0 percent). Rail remained the second largest mode by value, moving 15.6 percent of all NAFTA freight, followed by vessel, 4.3 percent; pipeline, 4.0 percent; and air, 3.8 percent. The surface transportation modes of truck, rail and pipeline carried 87.0 percent of the total value of NAFTA freight flows. From February 2015 to February 2016, the value of U.S.-Canada freight flows fell 5.5 percent to $42.6 billion even as two modes of transportation — rail and truck — carried a higher value of U.S.-Canada freight than a year earlier. Trucks carried 61.5 percent of the value of the freight to and from Canada. Rail carried 16.6 percent followed by pipeline, 7.4 percent; air, 4.8 percent; and vessel, 2.7 percent. The surface transportation modes of truck, rail and pipeline carried 85.4 percent of the value of total U.S.-Canada freight flows. Lower crude oil prices contributed to a year-over-year decrease in the value of freight moved between the U.S. and Canada. Crude oil is a large share of freight carried by pipeline and vessel, which were down 36.9 percent and 47.2 percent respectively year-over-year. U.S-Canada air freight value declined 3.2 percent because of a 31.3 percent decline in the value of shipments of aircraft and aircraft parts. From February 2015 to February 2016, the value of U.S.-Mexico freight grew 2.0 percent to $41.4 billion as three out of the five transportation modes — truck, rail, and air — carried more U.S.-Mexico freight value than in February 2015. Freight carried by truck increased 7.7 percent. Rail freight value rose 4.7 percent while air freight value increased 1.2 percent. Vessel freight value decreased by 37.4 percent, while pipeline freight value dropped by 11.9 percent, both due mainly to lower crude oil prices. Trucks carried 73.5 percent of the value of freight to and from Mexico. Rail carried 14.6 percent followed by vessel, 5.8 percent; air, 2.8 percent; and pipeline, 0.6 percent. The surface transportation modes of truck, rail and pipeline carried 88.7 percent of the value of total U.S.-Mexico freight flows. A group of Nova Scotia women are breaking down barriers in an industry traditionally dominated by men. The women are training to enter the trucking industry as part of 'Women Unlimited', a Nova Scotia Community College program that introduces women to opportunities in trades. Tammy Tortola says it's the "freedom" of driving on the open road that has attracted her to the industry. A group of women are training to enter the trucking industry as part of 'Women Unlimited', a Nova Scotia Community College program that introduces women to opportunities in trades. "You don't have to worry, you don't have a care in the world," Tortola told CTV Atlantic. She said the idea that only men could drive long haul trucks is simply a stereotype that needs to be put to rest. "There's no stopping us," Tortola said. "Once we got into the program, we got our confidence up. We know we can do just as good as anybody else." Trucking school recruiter Emily Stokes said only three per cent of truck drivers currently on the road are female. "It's amazing to see 20 women here," she said. "To be here today with them and see how excited they are to get out into the workforce, it's incredible." Some of the women admit that they were worried their gender might be a barrier to entering the industry. "You barely ever hear of any women drivers and I just hope I can be part of the team and break that," student Dawn MacLeod said. "I always wanted to truck drive, for as long as I can remember." Leathers threw down a gauntlet in a room filled with customers and potential customers. 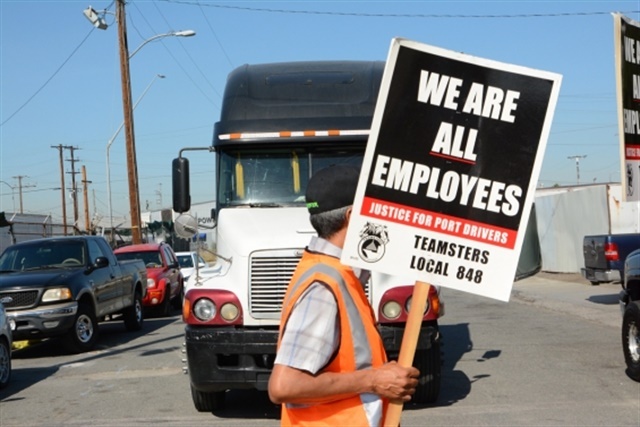 However, shippers remember the rapid increase in truck spot and contract rates in 2014, price hikes which carriers said were necessary to pay higher driver wages and invest in new equipment. “We knowingly and willingly go into these cycle shifts with aggressive behavior and there’s a better way,” he told NASSTRAC shippers, carriers and logistics providers. That better way involves collaboration to keep long-term shipping costs low and still provide remunerative rates. There is still more capacity in the truckload market than available freight, thanks to overly optimistic forecasts more than a year ago and a record-breaking round of new truck orders and sales in 2015. Pricing power has swung back to shippers and they’re not afraid to use it. Some would ask, why should they be? In an economy that expanded only 1.4 percent in the fourth quarter of 2015 and may barely have grown in the first quarter this year, companies of all stripes are under increasing pressure to reduce costs, and transport costs are a target. Logistics managers have told JOC.com they are being told by CEOs and CFOs to pursue double-digit savings from transport operators, the kind of savings which can gut partnerships and imperil value-added services carefully developed through collaboration in recent years. The pressure on surface transport rates is evident in the Cass Freight Index, the Cass Truckload Linehaul Index and Intermodal Price Index, all measures of freight volume, shipper spending and pricing drawn from data from more than $25 billion in annual freight bills. The Cass Truckload Linehaul Index dropped 0.6 percent year-over-year in March, the pricing index’s first negative reading since May 2010. The Cass Intermodal Price Index dropped 3 percent last month, following declines of 2.2 percent and 3.8 percent in January and February. The Truckload Linehaul Index peaked in January 2015, rising 7.9 percent year-over-year, before beginning its long slide into 2016. The 0.6 percent drop in the index indicates not a slower growth rate, but an actual decline in truck rates that is pushing intermodal rates lower. Several truckload carriers, including Werner, are blaming soft pricing for a year-over-year drop in first-quarter revenue. “Some customers are aggressively working to take advantage of the favorable shorter-term trends to the detriment of carriers,” Werner said in a statement. Trucking companies that enjoyed considerable pricing power in 2014 and 2015 were able to thicken historically thin margins and build more sustainable profits. Now they feel more like their ocean carrier counterparts, who complain they are being pounded in rate negotiations. The bidding season for transportation contracts in 2016 is proving to be “a constant battle with our shippers,” Richard Stocking, president and COO of Swift Transportation, said in March. Swift’s revenue dropped 4.7 percent in the first quarter, and profits were down 15.7 percent. “Our truckload services experienced pricing pressure throughout the 2016 first quarter, as industry-wide truck capacity was more readily available as compared to the 2015 first quarter,” Jim Gattoni, president and CEO of Landstar System, said in a statement last week. The trucking companies are sending a not-too-subtle warning that customers seeking “aggressive” price cuts when capacity is plentiful may be punished when supply tightens again. Additionally, they see the pricing pendulum swinging back toward them in the not-too-distant future. “We’re seeing massive truck order cancellations,” Leathers said at the NASSTRAC conference. Data from freight analyst FTR shows March 2016 North American Class 8 truck net orders declined for the third straight month to 15,800 units, the lowest net order level since September 2012. Net orders for Class 8s dropped 37 percent year-over-year last month, according to FTR. That’s a real sign of capacity contraction the market is ignoring, Leathers said. “We've dropped truck orders by 40 percent and everybody's acting like it's not happening,” he told NASSTRAC. Knight Transportation President David Jackson expects truck capacity to contract even before the electronic logging device mandate takes effect December 2017. “We’re just looking at new orders, used equipment pricing and non-contract rates,” Jackson said April 20. Werner cut 85 trucks from its fleet from the fourth quarter to the first quarter, though its truck count did rise by 220 tractors year-over-year, a 3.1 percent increase, to 7,330 trucks. Despite the soft rate environment and excess capacity, Werner plans to buy more trucks. “At a time when everybody else is cutting orders, we’re going to have a record capex” of $425 million in 2016, Leathers said. “We’re going to buy more trucks than we’ve ever bought in our 60-year history.” The goal isn’t greater market share, but replacement of older vehicles. By last month, new truck purchases had lowered the average age of Werner’s Class 8 fleet to 1.8 years compared with an average age of 2.1 years in March 2015. The goal is to drive that average tractor age down to 1.5 years by the end of 2016, the company said last week. The question is, will Werner and other carriers take freight from their “best shippers” first? The NASSTRAC conference opened this year with a panel featuring a discussion between a Class I railroad and trucking company executive titled “Why can’t we all just get along?” Perhaps next year the same panel should feature a trucking executive and a major shipper. In the meantime, the rate roller coaster rolls on propelled by market forces that are hard for carriers and shippers to deny or temper, and no one wants to exit a roller coaster in mid-air. HOUSTON — Thunderstorms raced through the Houston area Thursday, aggravating flooding in already drenched parts of the city as mandatory evacuations were ordered for low-lying neighborhoods in a community about 50 miles away. Houston and surrounding counties have received more than a foot of rain since Sunday night, and the flooding has forced thousands of people from their homes as creeks and bayous became overwhelmed. At least eight deaths have been blamed on the weather. One of those was a trucker who died in his flooded cab. Two aging reservoirs in west Houston considered "extremely high risk" by the U.S. Army Corps of Engineers were holding record amounts of water — at 50 percent capacity — but remained in good shape, he said. Flood warnings remained in effect for several southeastern Texas counties. Forecasts expected conditions to improve starting Friday. Three of the largest U.S. trucking companies reported a drop in profits as demand for freight-hauling services slumped. Werner Enterprises Inc. said first-quarter earnings fell 13% from a year earlier to $20.1 million, while Knight Transportation Inc. ’s profits sank 24% to $22.5 million over the same period. Thursday afternoon, Swift Transportation Co. said profits fell 16% from last year, to $31.9 million. “Customers are aggressively working to take advantage of the favorable shorter term trends to the detriment of carriers,” Werner said in a news release. Dave Jackson, Knight’s chief executive, said spot-market trucking prices are declining this year even compared with rates last year that were down as much as 20%. “So if you start to look at it over a two-year period, it’s an unbelievable decline in pricing,” Mr. Jackson said. Mr. Jackson said he expects capacity to tighten and earnings to improve this year as truckers slow the growth of their fleets and manufacturing picks up. Companies ordered 37% fewer trucks in March compared with a year earlier, according to ACT Research. Knight shares ended roughly flat at $26.72 Thursday. Werner’s stock dropped 9.6% to $25.73. Swift shares dropped 4.5% to $17.47. The company released earnings after markets closed.